Santa Cross is coming SUNDAY! Join us Sunday for Santa Cross another Holiday-themed classic and the 2014 SoCalCross PRESTIGE SERIES Final Champions will be crowned! Best 8 races count points value 1.5x for Sunday’s race. 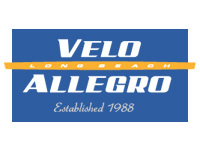 Don’t miss the SoCalCross Fever Series 2014-15 starting with Cross into 2015 Dec 28th also part of the CACX Series taking us through the end of the CX Season! *Race day registration is available at 7AM then 2 hours before each race wave start. 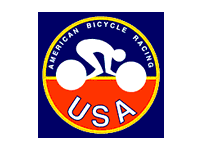 CX rental bikes available online $10/race then first come first serve race day. Santa Cross Run Sunday at 8AM presented by Kool N Fit! Kiddie Cross presented by Clif Bar! Doggie Cross Benefiting the California Wildlife Center! Santa Cross Relay Relay benefiting the Los Angeles County Bicycle Coalition! 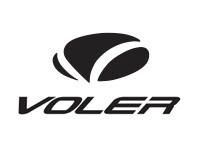 Series Champion Jersey in each category from Youth to Elite by Voler Apparel! Series Podium awards to top 5 in 25 categories including best teams! TRP Brakes, Jenson USA, Clif Bar, American Classic, Lazer Helmets, Cadence, Nuun Hydration, KOOL ‘N FIT will headline Overall Series podium prizes and special thanks to our series sponsor Magic Cycle Werks a Reynolds wheelset will be awarded to Men’s B Series Champion! A bonus cash purse will be awarded to Elite Men and Women Overall! Now in its 10th season the 2014 SoCalCross PRESTIGE SERIES has awarded over $20,000 in cash this season! Thanks everyone for racing and hope to see you at Cross Fever into 2015!